When it comes to spotting appliance problems, most people rely on two main senses: sight and sound. You're either going to see that something isn't working correctly or hear a tell-tale noise that signals trouble. However, sometimes you may not realize that certain subtle sounds mean an appliance is struggling. Here are five warning sounds that homeowners should be able to recognize. Sometimes your fridge may emit a slight hissing sound, similar to the noise you hear if you drip water on a hot stove burner. Many times this sound is also accompanied by other symptoms, like if the appliance isn't cooling as efficiently as usual. When you hear that hiss, trouble is brewing. This usually means that there's a problem with your defroster, an essential component of the fridge. Call a professional to have it checked out as soon as possible, or file a claim with your TotalProtect® Home Warranty. Dishwasher cycles are generally pretty long, so if your appliance is rattling for an hour, you're going to notice. Even if the sound is faint, it could signal that there's an impending problem with your washer. This tell-tale noise is emitted when a piece of the motor is loose, worn out or broken. Unless you get it fixed, you could end up hand-washing your dishes! It can be tricky to figure out if there's something wrong with your garbage disposal, as the appliance can make a variety of noises when in use. However, if you hear the sound of metal clanking or rattling, it's not a good sign. This happens when the disposal blades have come loose and aren't being held securely against the impeller plate. To tighten the rivets, the appliance will need to be taken apart, so most people should call a professional. After all, it's best to steer clear of those sharp blades. Loud clunking can mean a problem with your clothes washer. 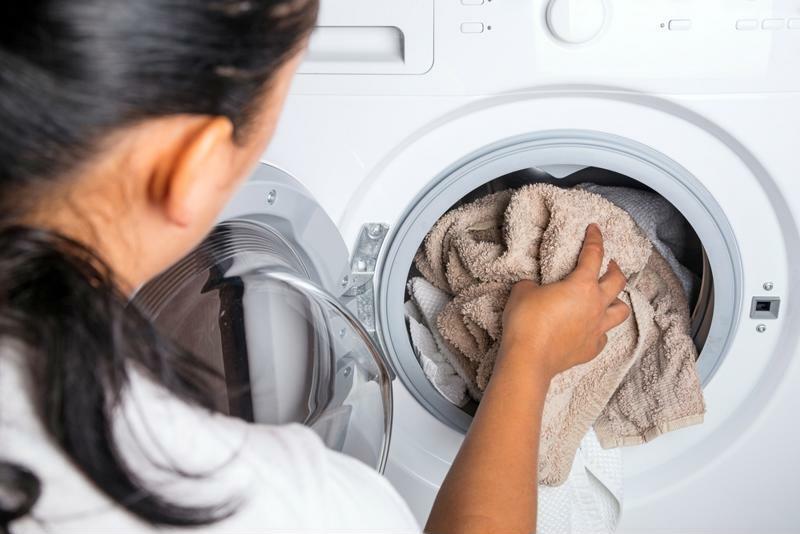 Loud clunking can mean a problem with your clothes washer. Any out-of-the-ordinary sounds coming from your clothes washer are cause for concern. However, sometimes people think that clunking could just be the clothes shifting around inside the drum. This may be the case if the sound doesn't persist, but if you run a few cycles and keep hearing the rumbling or clunking, it's time to call a repairman. The most common source of this noise is a loose drum bearing, a complex problem that requires the machine to be taken apart for repairs. Some of the most common causes of dryer clanging are coins, pens or other items being tossed around in the drum. However, if your dryer is emitting a buzzing noise, you may need to do more than fish stray objects out of the appliance. A persistent buzzing usually means that the dryer's blower is blocked or the blower housing is bent. When in doubt, it's better to file a claim under your TotalProtect warranty than try to fix appliance problems yourself. Sometimes do-it-yourself repairs do more harm than good!